While the po-boy is likely the first sandwich one associates with New Orleans, Mark Subervielle wants to make sure the city’s other iconic sandwich – one that was around decades before the po-boy – gets it proper due. 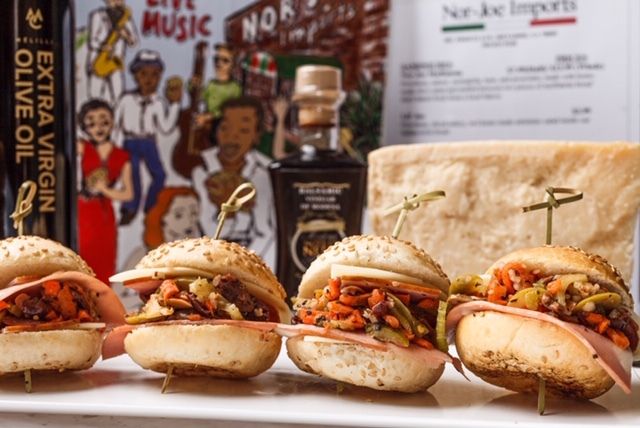 We’re talking, of course, about the muffuletta, which Subervielle, an importer of specialty and Italian foods, says has its roots in a French Quarter bakery in the 1890’s. Specifically, it was a bakery owned by the Ruffino family, which is where the original muffuletta bread came from. The bakery would change ownership through the years, Subervielle says, but would stay in the same extended family until Hurricane Katrina. “It ended up as United Bakery,” he says, “and it was on St. Bernard over there and the brick ovens are actually still in the building that housed the bakery.” The po-boy, on the other hand, wasn’t born until the streetcar strikes of the 20’s and 30’s, says Subervielle. It makes sense that the sandwich originated in a bakery. A “muffuletta” is literally the round loaf of bread, Subervielle says. Then comes the ham, mortadella cheese, salami, some other Italian meats depending on who’s making it. But what’s in olive salad, other than the obvious? While different people have different recipes, “for the most part it’s a mixture of olives, some vegetables, and jardiniere, which is of course a vinegar mixture of cauliflower, carrots and onions,” says Subervielle. All of these meats, and olive salad, were staples in all the Italian delis and Italian grocery stores that heavily dotted the neighborhoods of New Orleans, Subervielle says. “They were cured meats, so they would last a long time, they didn’t need refrigeration,” says Subervielle. “And of course if you put them on a sandwich they’re going to last a long time as well. So it was a very hearty and durable sandwich as well. Subervielle isn’t just a muffuletta historian. With partner Jared Zeller of Bayou Boogaloo, he is the founder of the Muffuletta Festival, which returns for its second year Sunday, October 7, from 10:00 AM until 8:00 PM near the intersection of Metairie Road and the railroad tracks. 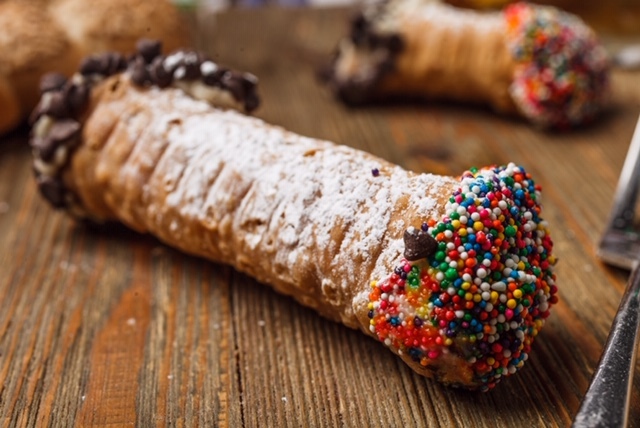 The festival isn’t just about enjoying some muffulettas, good music, and cooking demos – it’s about preserving history, says Subervielle. For more information, visit muffulettafestival.com, or visit their Facebook page.